The Winnipeg Jets go in search of a fourth consecutive victory on Friday when they face the Blackhawks at the United Center in Chicago. 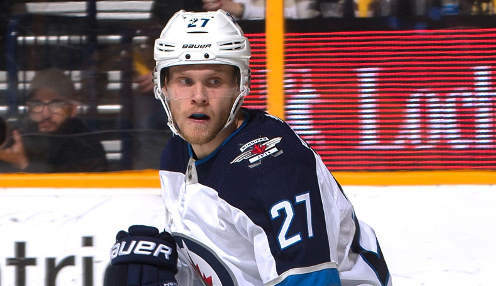 Two victories over the Buffalo Sabres, home and away, sandwiched around a home victory over the San Jose Sharks, have pushed the Jets into first place in the Central Division ahead of the Nashville Predators and St. Louis Blues. Kyle Connor and Nikolaj Ehlers each scored twice in the 7-4 victory over the Sabres last time out at the KeyBank Arena in Buffalo. The game in Chicago is the second of a four-game trip that will also take in the Minnesota Wild and the Calgary Flames. The latter could be an interesting match-up should the Flames maintain their form in games against the Florida Panthers and Carolina Hurricanes on Friday and Sunday. Meanwhile, Nashville has won two in a row, but is just 4-4-2 over their last 10 outings. The Predators are in the middle of their bye week and will return on Tuesday when they entertain the Vegas Golden Knights at the Bridgestone Arena in Nashville. The two sides met earlier in the month when Vegas blanked the Predators 3-0 at the T-Mobile Arena. Unlike Nashville, who entered their bye week on a high note, the Blues lost three straight to the Philadelphia Flyers, Washington Capitals and Florida Panthers before taking time off. The Maple Leafs in Toronto and the Senators in Ottawa are the opponents next Tuesday and Thursday when St. Louis returns to the ice. The Blues are 4999/1 to win the Central Division, with Nashville 1/30 and the Jets 8/1.